As a business in the District of Columbia, there are some employment torts where you may find yourself on the receiving end of a lawsuit. One of these is a defamation of character suit. Defamation involves either written (libel) or spoken (slander) words communicated to a third party that involve untrue statements about the plaintiff. This can ruin someone’s reputation and cause them financial harm. 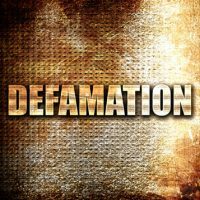 For example, if you make disparaging remarks about a former employee to a potential new employer and that statement causes them to lose a job offer, they may pursue a defamation claim against you. The statement’s publication caused special harm to the plaintiff, or the statement is actionable under the law, regardless of special harm. While everyone would like to keep other people from saying offensive or mean things, the statement has to be more than just something considered unpleasant to rise to the level of defamation. Saying someone is ugly is hurtful personally, but saying something harmful that causes them to lose employment or otherwise sustain financial damages could rise to the level of defamation. The District of Columbia also recognizes something called defamation per se. This is when you say something so inflammatory that there is no need to prove any actual damages. The main example is when you accuse someone of committing a crime. There is a main difference in defamation cases involving public figures versus a private figure. Public figures have to prove actual malice in a defamation case. This means the person making the statements had to know the statements were false and recklessly disregarded that fact. If you are sued by another business for defamation, the federal courts in Washington DC recognize that a corporate plaintiff could be a public figure in lawsuits filed against a mass media defendant involving “matters of legitimate public interest.” This is federal court, but other cases could follow this opinion. If they do, a corporation, no matter how big it is, would not have to prove actual malice to succeed with a defamation case. The main defense to a claim of defamation is that the statement was the truth. Another defense is that the alleged defamation was just an opinion, or the plaintiff consented to the publication of the alleged falsity. There may be certain privilege defenses as well. If you or your business have been accused of defamation, it’s important you speak with a skilled District of Columbia business litigation attorney right away. The sooner you retain counsel, the sooner your attorney can work to start building your defense and preparing a case strategy. Investigation is important with defamation cases. Contact the experienced DC business litigation lawyers at Tobin, O’Connor & Ewing today at 202-362-5900 to schedule an initial consultation.